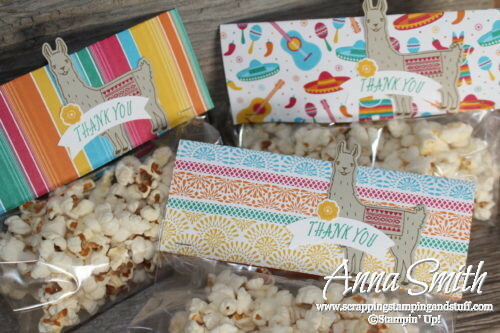 A Stampin’ Good Thank You Party! 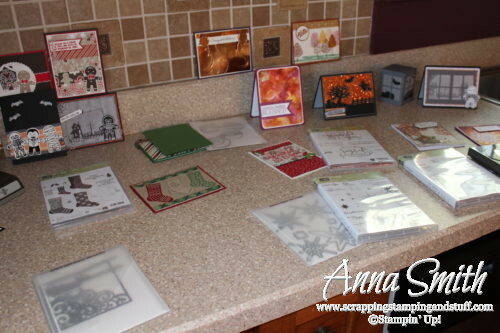 It’s taken me a few days, but I’m ready to share pictures from my ‘thank you for helping me earn the Stampin’ Up! 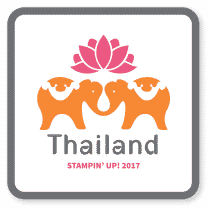 incentive trip to Thailand’ party last weekend! That was a mouthful! I have a lot of pictures to share, so let’s get started! 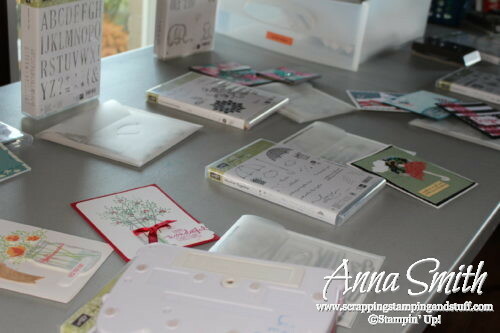 Projects on display are a must for any Stampin’ Up! gathering. Here are some projects made with products that were new in this year’s Annual Catalog. Here are some assorted cards I wanted to sit out. 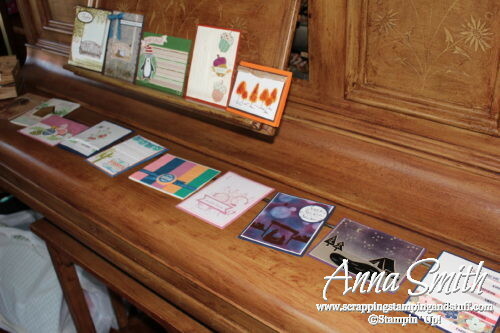 What else is a piano for, besides displaying cards?! These are projects made with items in our current Holiday Catalog. 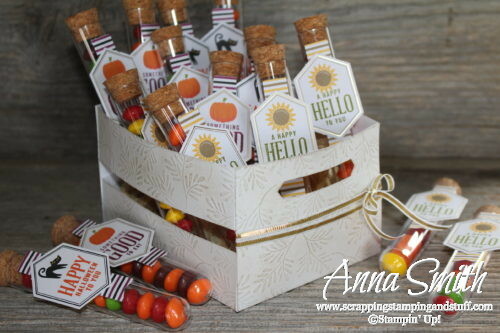 and the adorable test tubes that came in last month’s Paper Pumpkin kit – Something Good to Eat! 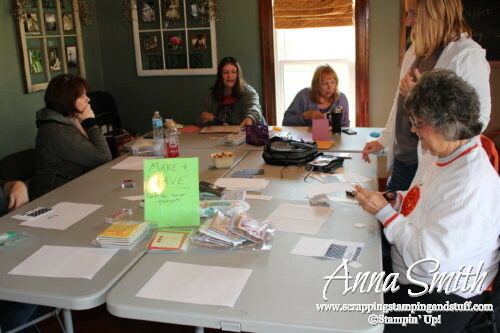 And of course there were projects! I prepared two make and take projects. 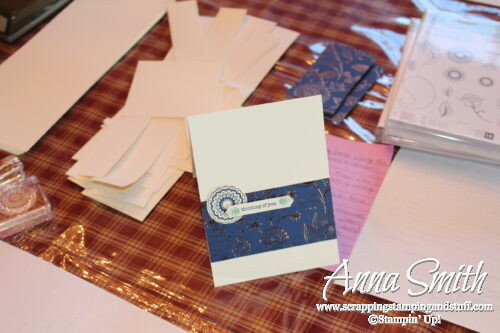 The card below was made with the beautiful Petals & Paisleys designer series paper and the Paisleys & Posies stamp set. 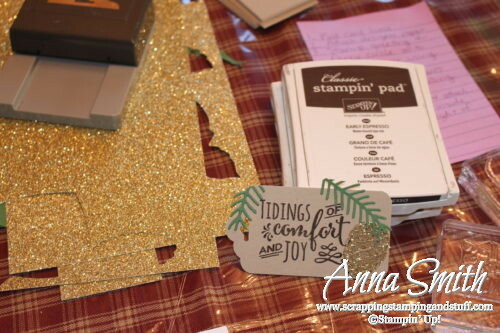 This Christmas tag was made with the Christmas Pines stamp set and thinlits bundle. I also had two ‘make and leave’ projects, which I will be donating to Card Care Connection for cancer patients. 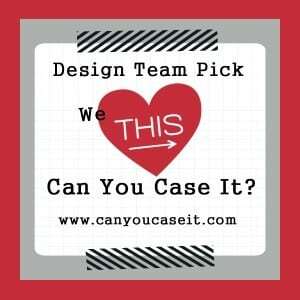 The card below was made with the Flower Patch stamp set – an oldie but a goodie. I spiced it up with some of the fresh In Color inks. This was the second ‘make and leave’ project. 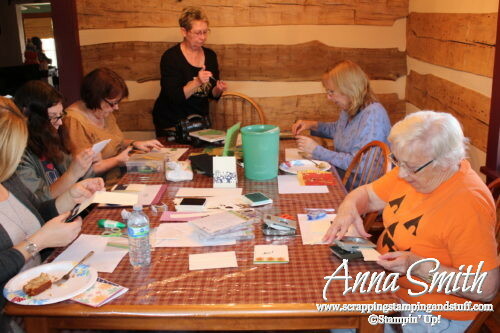 The Watercolor Words stamp set had a perfect ‘hope’ greeting that we used. Breakfast is served! 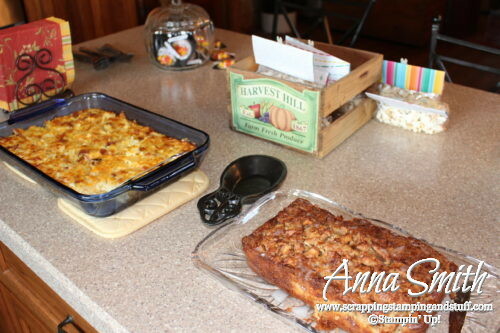 I made an old favorite, Amish Breakfast Casserole, and a new one, Apple Fritter Bread. Were there any people there? Well of course! 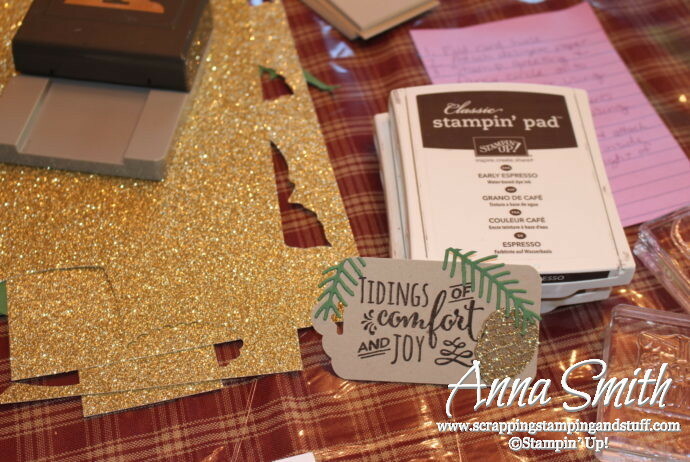 It was a stampin’ good time! Thanks to everyone who came, and everyone who supports my business! 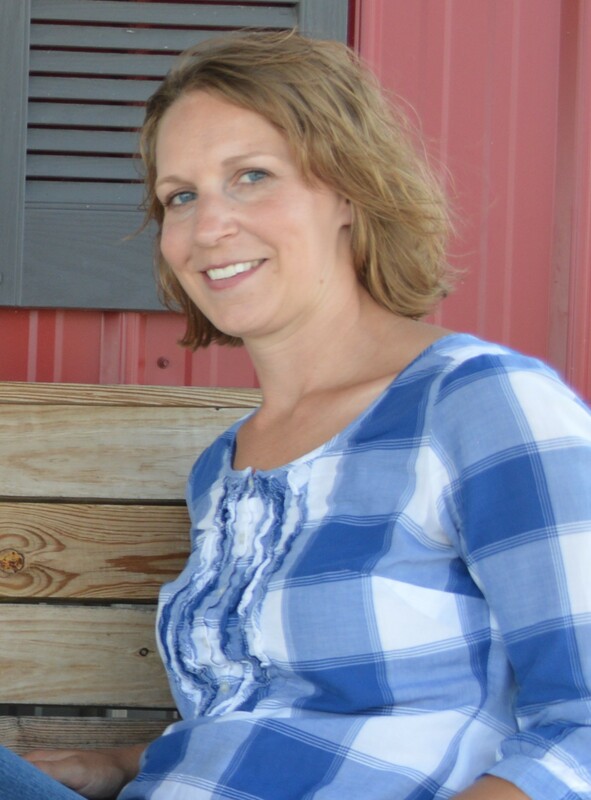 Please shop with me and combine these offers to get great deals! 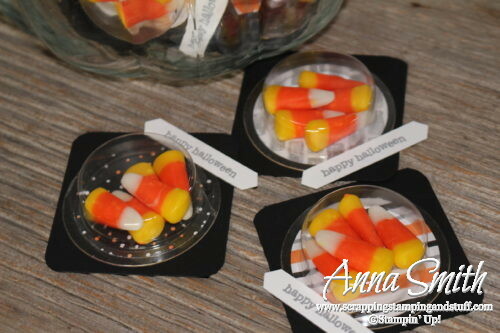 Use hostess code DP4EZK6D during the month of October and I will send you a free gift! 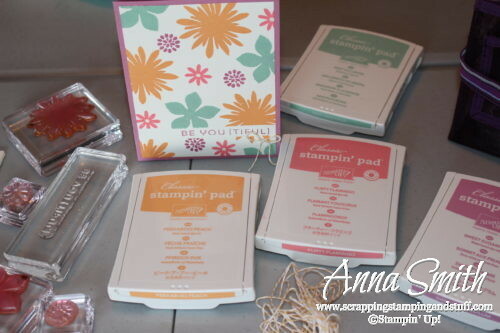 Any purchase of $150 or more will earn you hostess credit through Stampin’ Up! 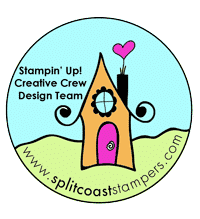 Join online stamp club and get free products and projects. 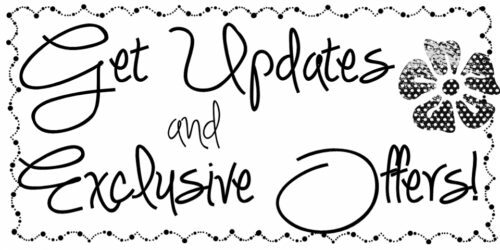 During October, I’ll donate 10% of your purchase to the American Cancer Society!